There are a wide range of factors to consider when choosing a new boiler for a home in France - type, cost, technology used, contract type… Which will all determine which boiler is right for your house or apartment. The following article goes into detail to present all your options, as well as what to do if a boiler needs repairing or replacing. Choosing the right boiler : which type is best ? Each type of boiler has its specificities, however they all share the same mode of functioning. Its ultimate goal is to provide a household with heat, via hot water or a heat transfer liquid. A boiler uses a fuel (electricity, gas, wood, oil) to generate heat, which will raise water or liquid temperature inside the boiler. Once the water has reached the right temperature, it can travel through the building’s pipes, all the way to heating appliances or to sanitary water, which will be used for the shower, the dishwasher, etc. But what are the differences between every type of boiler, and which should you choose? In France, electric boilers are mainly found in rented apartments or houses, as it is a fairly cheap heating method for the landlord to purchase. This said, electricity is currently one of the most expensive energy types in France, so in the cases of a high consumption, electricity bills can quickly skyrocket. Gas boilers - which can be fuelled by natural gas or propane - offer several advantages: they are easy to install, fairly low-maintenance and are one of the most eco-friendly energy compared to other heating sources. An additional benefit if opting for natural gas as the fuel is that it is the cheapest fuel sources as of today, so it can work well for lower budgets. Moreover, gas offers a very pleasant heat, all nicely even, smooth and quickly spreading. You can find out here how to connect a home to gas. This said, gas boilers are generally quite a lot more expensive than electric ones. It is also important to note that, if opting for a propane-fuelled boiler, will require the installation of a gas tank, which will have be regularly filled by a tanker truck. 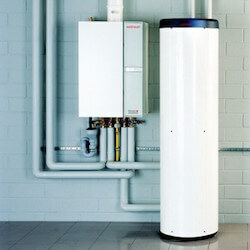 These types of gas boilers are thus best suited to isolated houses which cannot be connected to mains gas. Finally, gas boilers are still too often the cause of domestic accidents because of explosions or gas intoxications. In order to avoid this, make sure your boiler is up to date with maintenance regulations, and if you ever smell gas and suspect a gas leak, you should immediately contact the Gas Emergency Services. Although not the most common type of boiler, the wood boiler has been making a comeback in recent years, due to it being inexpensive, eco-friendly and very efficient. The log-fuelled boiler - the cheapest type of wood boiler, also very easy to use. The main issues with this boiler is that is requires manually work to function, and only have a few hours of autonomy. Moreover, the logs have to be stored in a dry place at all times. The granule-fuelled boiler - easy to use and with an autonomy of several months, they are definitely one of the most, if not the most, eco-friendly heating methods out there. It does, however, work out more expensive than a log-fuelled boiler, and the granules take up quite a lot of storage space, as well as needing to be strictly kept away from humidity. The oil-fired boiler can produce heat at a very fast pace, making it ideal for large surfaces. It is completely autonomous and does not depend of a distribution network. This said, an oil-fired boiler requires to stock fuel in a large-capacity tank, either in a house or outside, and this tank will need regular top-ups from an oil tanker. It is also quite a pricey investment, as well as being taxing for the environment since oil is a non-renewable source of energy. Choosing the right boiler: which type is best ? With such a range of boilers to choose from, it is important to make sure to select the one best fitted to your needs and living space. Several factors are important to consider when choosing a boiler: the type of housing and its location, a boiler’s technology and its power, and personal budget. First off, the housing in itself is a decisive factor: depending on whether you live in a house or an apartment and the size of it, and depending whether it is in a rural area or in a city, the best suited boiler type will vary. There are several types of technologies available for a boiler: classic, low temperature, or condensing. Although these last two are more expensive to purchase initially, they work out cheaper and more environmental-friendly on the long term. 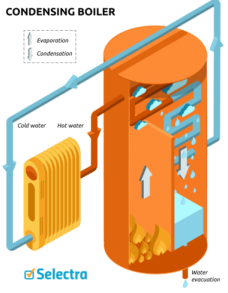 Both the low temperature and the condensation boilers are thus put forward by the French authorities, which have committed to covering 30% of their initial cost, directly or by or deducting it from taxes. Note that you are entitled to this State aid whether you are French or not. The condensing technology has the benefit of needing less fuel to function, which makes it more eco-friendly and cheaper than its classic counterparts.It is also very quiet, which makes it a good option for one-room apartments for instance, where space is limited. If the boiler power is too weak, it won’t work as efficiently, as it will provide a lower hot water flow compared to the household's consumption. Working out which power will suit a household depends on the size of the living space, and whether the boiler will be used for heating appliances only, or for hot water too. But fear not, during the initial boiler quote, the technician in charge of installing the boiler will check if your estimations are aligned with your needs. The cost of a boiler will depend on its type, its power, its brand and model. Because of all these factors, the prices shown below are set as averages only. Also note that these prices don’t include the cost of labour, pipe laying and radiator installation in a new home. Electric €1,000 to €6,000 Poor. The initial cost of an electric boiler is quite attractive, however the electricity bills that follow can end up very high - €2,000 on average for a 100 m² living space. Gas (condensing) €4,000 to €7,000 Good. Provides up to 35% saving on bills compared to classic boilers, along with a 30% tax credit. Oil (low temperature / condensing) €3,000 to €10,000 Poor. No tax credit available, plus the price of oil is considerably high than that of gas or wood. What's more, oil-fired boilers will soon be banned in France, so it's best not to invest in this type of boiler anymore. Wood (granules) €13,000 to €20,000 Fair. This boiler is expensive to install, but granules cost €300/ton on average - twice as cheap as oil. Also comes with a 30% tax credit. Wood (logs) €3,000 to €8,000 Very good. 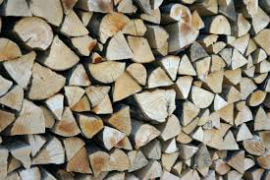 Logs are the cheapest fuel on the market, making these wood boilers very inexpensive. Also comes with a 30% tax credit. In France, boiler servicing is mandatory for all non-electric boilers since 2009, and must occur once a year - even for modern and brand new models. You should thus take this into account into your energy budget. Ideally, boiler maintenance should be carried out a little before temperatures start to drop,so around September or October so as not to have to turn the boiler off in the middle of winter. For new boilers, the servicing needs to be done within the year of installation. 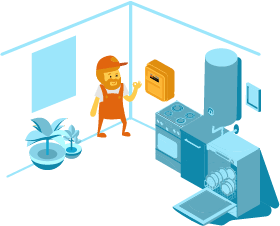 The annual gas boiler servicing is a way of ensuring the system is functioning properly, to prevent any power outages or issues that can impact both the energy bills and household’s safety. Only a certified professional can carry out this procedure and give you the proof of servicing. The servicing for wood boilers is meant to ensure these are in alignment with the environmental criteria fixed by the Government. This is done by controlling the boiler’s productivity and its emissions of pollutants. Service the burner - the nozzle in particular. This part may either just require a clean or have to be replaced. Restart the boiler so as to check there aren’t any malfunctions. Electric boilers are not subject to the mandatory annual maintenance, as they don’t produce carbon monoxide. It is however important to descale this type of boiler regularly so as to ensure it keeps functioning properly. This can either be done by you or a professional. 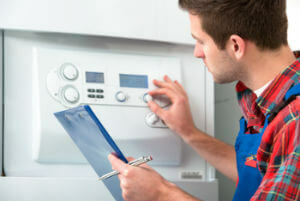 How much does a boiler maintenance cost? It all depends on the type of boiler and the servicing contract agreed to with the professional who comes to service the boiler. Some contracts will offer priority assistance in cases of emergency and include other services, such as an annual chimney sweep (also a mandatory, annual procedure). This said, boiler maintenance should not be seen as a financial burden; rather, it can help prevent outages and can even increase a boiler’s lifespan, saving you money in the long run. Servicing a boiler can dramatically decrease the risks of carbon monoxide intoxication. This gas is the cause of around one hundred casualties and more than 3,000 incidents in France every year. What makes it so dangerous is that is odourless, colourless and deadly at too high dose. The professional will thus check the concentration of carbon monoxide produced by a boiler - above 10 ppm, the boiler system will need further investigation, ad above 50 ppm the boiler will need to be switched off immediately. A well maintained boiler consumes between 7 and 12% less energy, and thus can help reduce energy bills in similar proportions, depending on the quantity of energy used, the size of the living space and the type of fuel used. For instance, according to the French Ministry of Sustainable Development has estimated that a well serviced, granule-fuelled wood boiler in a 200m² can help save up to €320 per year on energy bills. Finally, a well-serviced boiler will be able to function for longer and be less likely to need repairing or replacing. Maintaining a boiler regularly could for instance increase its lifespan by 5 years, making it functional for 20 years instead of 15. Taking into account the fact a new boiler costs around €4,000, by delaying the replacement of a boiler by 5 years can mean a saving of €1,000. Aside from the annual maintenance procedure, a boiler may need to be repaired every now and then. Sometimes it can be a matter of examining the boiler yourself and proceeding to a minor fix, but other times getting help from a professional is necessary. The most common issue with an electric boiler comes from a power outage, especially if the power your boiler is subscribed to is too weak compared to your consumption as this will cause the fuse to trip. Before seeking professional assistance, make sure the boiler is well plugged in and that your house or apartment isn’t affected by a general power outage. If this is not the case, the interventional of a professional will be necessary, as there is probably an issue with the boiler safety system. Another potential problem can arise if the supply of fuel is cut off. Before seeking assistance, check that the vents through which the fuel circulates are open, that there is still enough fuel left in the boiler, and that the energy network isn’t down. Problems linked to the hot water system can be very dangerous. Make sure to control the water pressure and check that it isn’t too weak or too high (an average water pressure is between 1 and 3 bars). If it is too weak, simply refilling the system should do the trick. If the pressure is too high however, there is a very dangerous risk of the system exploding and you should immediately make an emergency call to a repairperson. If the boiler isn’t heating your living space properly, before you seek assistance you should check that the thermostat is properly set and that the air vents are clear. A heating malfunction can also be caused by an incomplete combustion - especially if the fuel used is of low quality - which is dangerous and puts the boiler at risk of exploding. The heating system can also be compromised by a bad smoke evacuation, which is also dangerous as it puts you at a risk of intoxication. In both these cases, you should contact a professional immediately. It is very difficult to give an estimate of a repair intervention, as prices depend on many factors, and every professional is free to set their own prices. the cost of any items of the boiler that need changing, which once again can vary considerably, from one item and one brand to another. While some small items only cost €10, other more complex ones such as the circulating pump, can cost upwards of €200. Since a one-off repair intervention can cost anything from €200 to €500, it might be worth considering subscribing to a maintenance and repair contract. These contracts usually cover the annual maintenance intervention plus a free additional repair intervention per year, the replacement of certain items or a guaranteed delay of intervention. Should I subscribe to a boiler maintenance contract? Subscribing to such a boiler contract can give you the peace of mind in relation to the mandatory boiler servicing, and can also work out advantageous for you if you live in an far out and isolated area, as the contract will oftentimes include unlimited travel expenses. However, it may not be worth getting tied to a contract if your boiler is old, since it will need changing anyway, or if the boiler is already under manufacturer guarantee, in which case the replacement of items will be covered already. Make sure to read all the clauses before signing any contract (or get help from a French-speaking person if needed). ask for an intervention certificate or an invoice proving the entirety of the procedures carried out. If anythings feels suspicious about the price charged or the intervention in itself, you can contact the Synasav, the French national maintenance and after sale services union (02 47 32 97 09) or the Synadep the French national union for at-home repair interventions (04 86 06 36 76). It can be quite daunting to think about having to replace a boiler, but this is a very important and necessary investment. But how and when do you know the time has come for an update? Depending on the brand and the model, a boiler can stay in function for 10 to 20 years. The lifespan will mainly depend on the quality of the device, the frequency of use and most importantly if its servicing. Sometimes repairing a boiler is only a matter of changing a small item. But if your boiler keeps breaking down, if it isn’t working properly or if the device is over 15 years then it is probably time to replace it. If in doubt, do not hesitate to get advice from a professional who will be able to inform you on the state of your boiler and give you advice as to which new boiler would be best suited to your needs. How much does a boiler replacement cost? What happens to the boiler contract after a replacement? Make sure to notify the professional with whom you signed a contract for the replaced boiler, for if not you will end up having to keep paying for it. Replacing a boiler, especially an old and faulty one, will provide you with a lot more comfort at home. You will be able to choose more modern, more efficient and more adapted boiler that will be better suited to your needs, while also not having to worry about power outage problems or intoxication hazards, since new boilers are way less likely to encounter these issues. In France, the new models of boilers (condensing and low temperature) are designed to consume less fuel and function more efficiently. This means that, for a same level of comfort, a boiler will require less resources and thus will have a lesser impact on the environment. Finally, and as a consequence of needing less fuel to function, a new boiler will help you save money on your energy bills overtime.